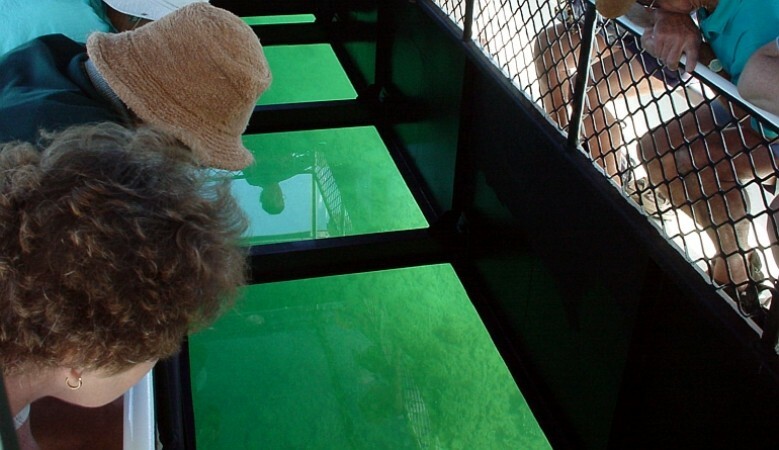 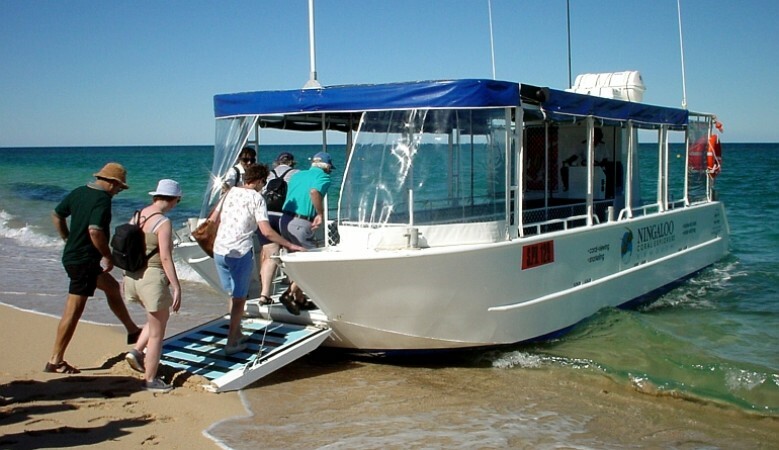 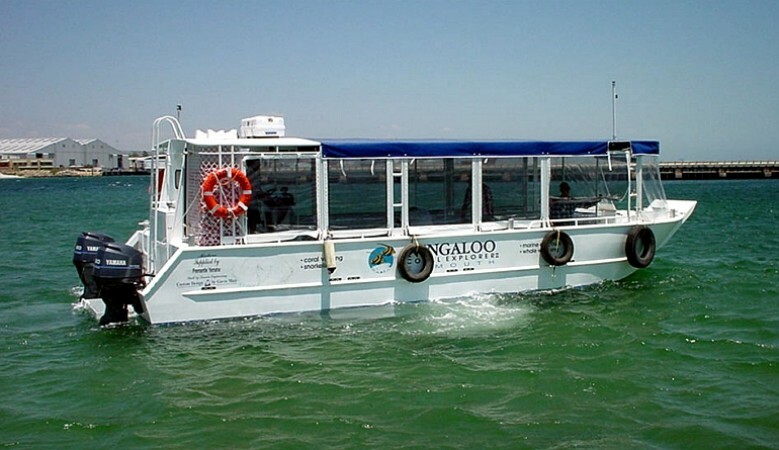 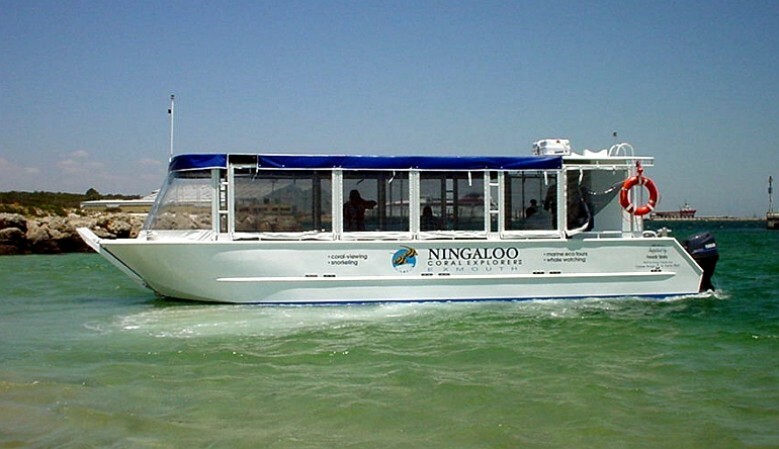 The “Ningaloo Coral Explorer” is one of three such glass bottom vessels we have operating in our eco-tourism areas. 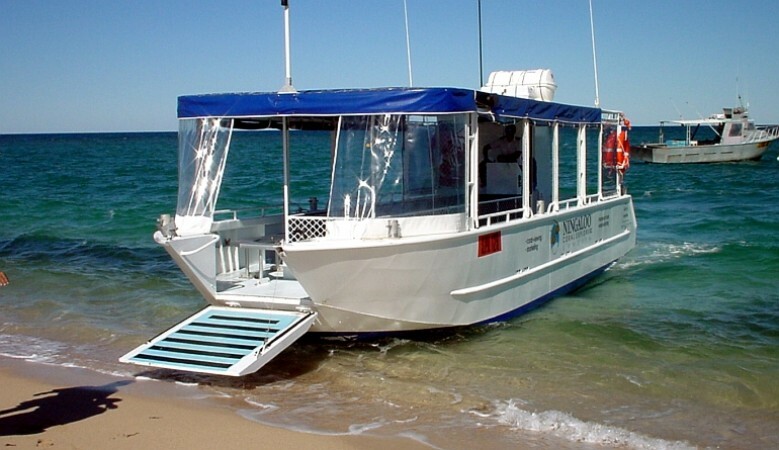 Built for Bob & Naomi Edwards of Exmouth, it really is a superb boat. 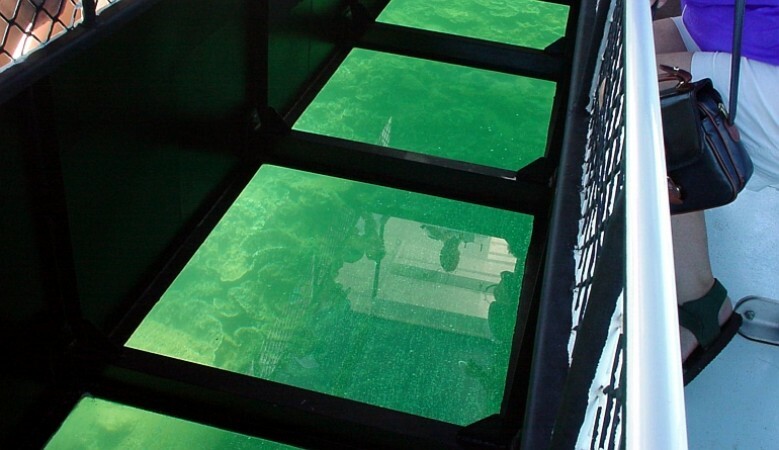 Wind down the door, step aboard, then it’s almost Jules Verne’s classic all over again. 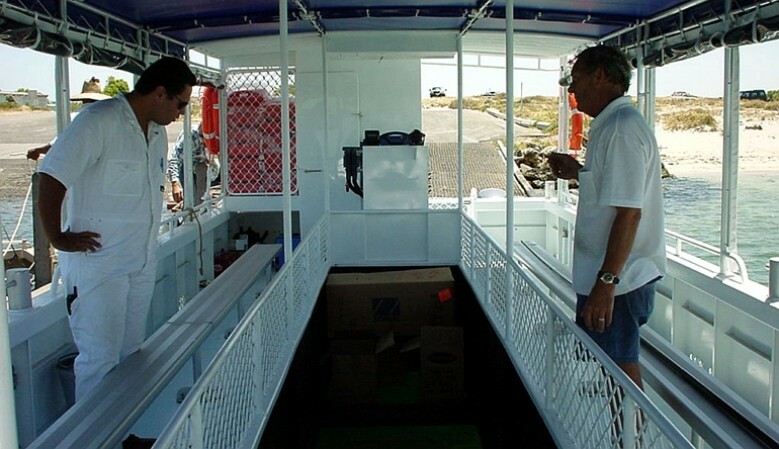 We have also had a U.K. builder deliver a another successful vessel from a GMD kit in the Bahamas. 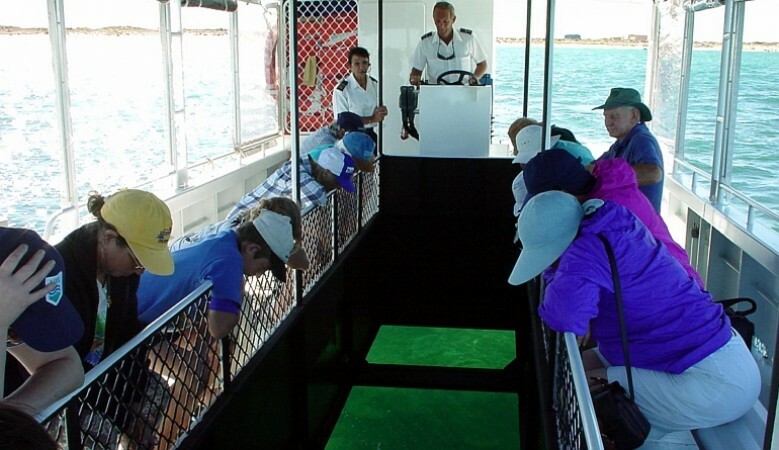 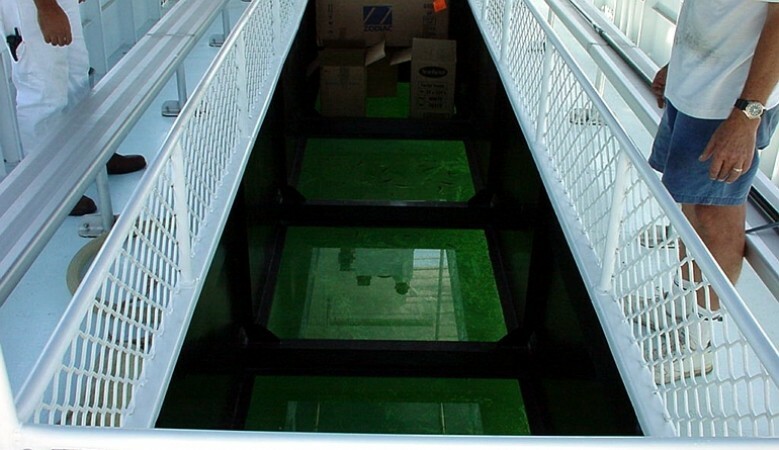 Up to 30 passengers get an unreal view of the sea floor through toughened safety glass viewing panels in the hull bottom. 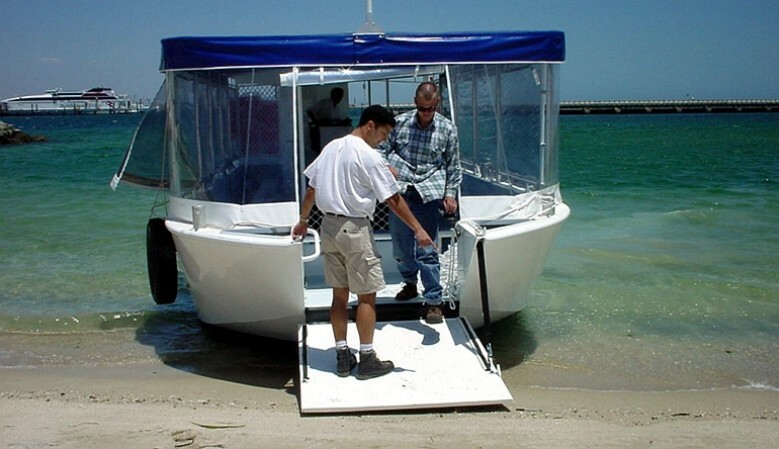 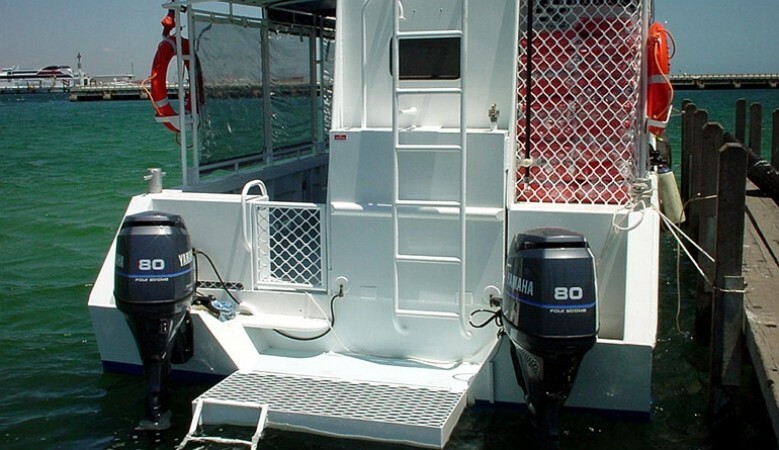 The vessel is powered by two small outboard engines, giving very efficient operation and minimal maintenance.